Alexei Ramirez may claim this was celebratory, but Humber really smelled quite awful. 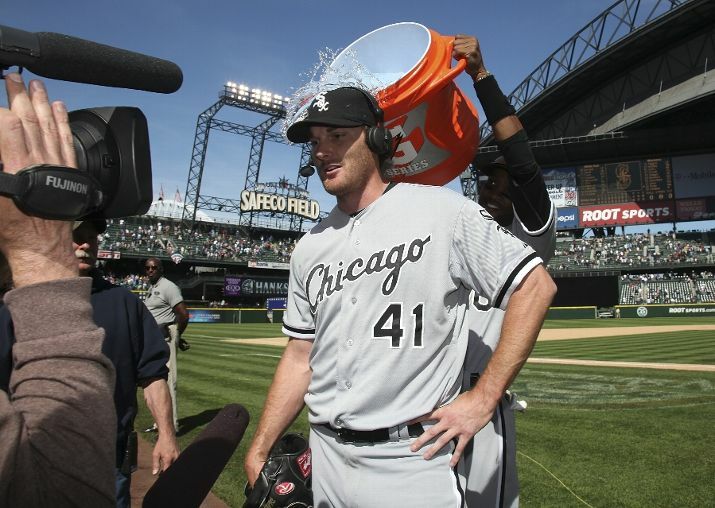 Philip Humber threw the 21st perfect game in MLB history today. What a dominant and unexpected pitching performance it was. But almost every pitcher will say that he couldn’t have accomplished something so momentous without his teammates. And some of his teammates were former Nationals. It’s nice to know that some of our old players were important contributors to a historic event like this. Let’s look at all the former Nats who helped Humber reach perfection today. Adam Dunn: 0-4, 1 strikeout. What an important factor. We should be sad to have let him go.